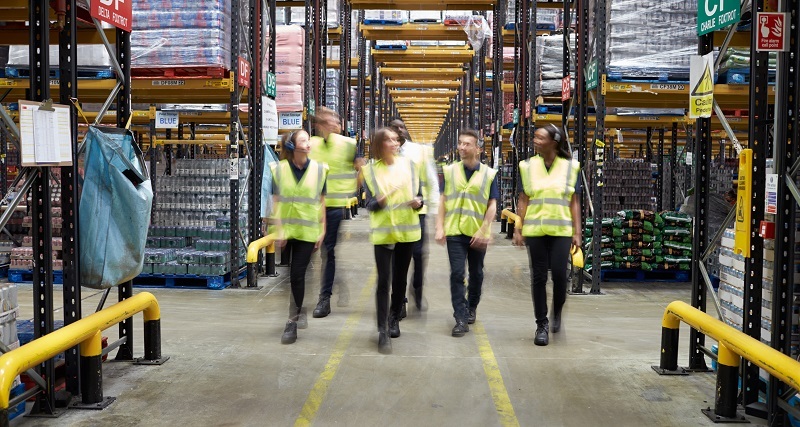 In a busy shipping and receiving department with dozens of moving parts, anything that can help make the jobs of your management and front-line workers a little easier is a welcome commodity. Security camera systems can do just that! In a shipping and receiving department, a security camera system is about far more than just security. From protecting inventory to helping with staffing needs, your security cameras help you get a better read on the situation in your department. 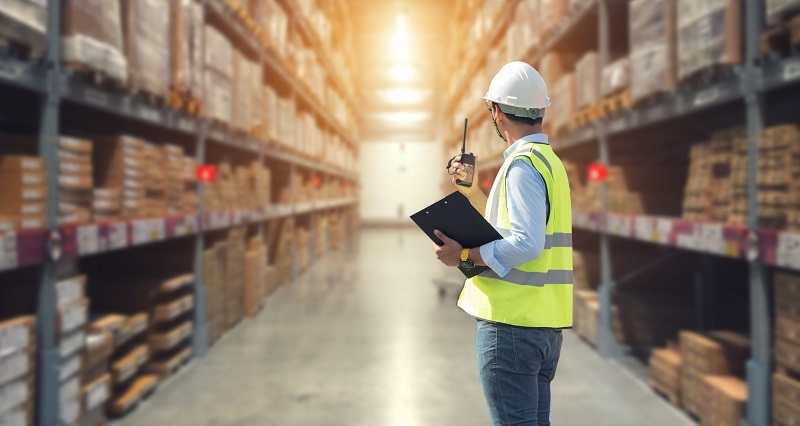 Read on to learn more about how having quality security cameras in your shipping and receiving department can benefit your company. If you’re planning to have a security camera system installed in your shipping and receiving department, be sure to have a game plan in place well in advance of when you want to have the cameras installed. Summer and winter shutdowns are an excellent time for having new equipment, like a security system, installed because it avoids workflow disruptions and minimizes the potential for delays. Since these periods are so popular, you should plan to book your installation several months in advance of your seasonal shutdown to ensure that you get your first choice of contractor. We pride ourselves on creating the solution that best meets your needs. That’s why every install we do begins with a free site visit and consultation, allowing us to map out your system to best achieve your goals while staying on budget. Schedule your consultation and installation today. Check out Make the Most of Summer Shutdowns to learn more about scheduling your security camera system installation, upgrades, or maintenance. Shipping and receiving departments are a prime target for potential criminals, from both the outside and inside. By installing prominently displayed security cameras, you can help deter a great deal of this crime. Most thieves or vandals are looking for a crime of opportunity and will move on if they see that your shipping and receiving areas are covered by security cameras. If a crime does occur, your surveillance system can help police quickly identify the suspects and arrest them – increasing the odds of recovering any stolen merchandise or equipment. Internally, security cameras can also reduce the risk of employee theft. It pains every employer to think that an employee might be the source of loss in their shipping or receiving department, but the truth is that employee theft accounts for a significant portion of material loss across all industries. Since employees know that they will be easily identified on security cameras, they are less likely to attempt to steal from their employer when they know they are being monitored. With their panoramic lenses, fisheye security cameras allow you to cover wide areas without blind spots, making them ideal for use in monitoring your shipping and receiving areas to deter criminals. Shipping and receiving areas are often noisy and very busy areas with multiple forklifts running back and forth while other employees are busy verifying loads. How often do truck drivers wander into your shipping and receiving department looking for assistance, access to a bathroom, or just to chat? While you want to be friendly and helpful, the truth is that unauthorized individuals in this area are a lawsuit waiting to happen. When a driver or other individual wanders into your department, they can very easily be injured by any one of the moving parts within the area, trip over a box, or slip on a slick spot that employees who work there regularly know to avoid – leaving your company open to potential liability in a lawsuit. Motion activated security cameras in the pathways that lead into your shipping and receiving department can help your staff be aware of any unauthorized individuals that are trying to enter the area, allowing you to turn them back before any possible injury can occur. Have you been thinking about adding more staff to your shipping and receiving department? Security cameras can help you monitor employee productivity and performance, allowing you to get a more accurate reflection of the ability of your current staff to meet the demands of the job. If employees seem to be working at maximum capacity, but still have trouble keeping up with the pace, that’s a good sign that you may need to add additional staff. OSHA regulations are in place for one reason only: to protect the health and safety of your most valuable asset – your employees. When companies or employees take shortcuts, serious accidents can often be the end result. Regularly reviewing your security camera footage can help you identify lapses in safety protocols that may indicate that additional training is necessary. You can also quickly determine if there are accident hotspots and put additional precautions in place to limit these incidents in the future. Check out Make Your Plant Safer with Security Cameras for more information on how a security camera systems help you meet OSHA standards while saving your company money in the long run by keeping your workers’ compensation premiums lower and your team more productive. 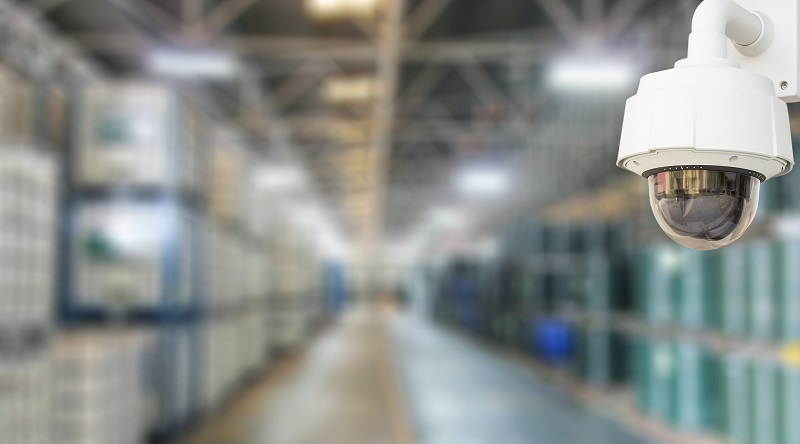 If you’re looking to maximize the efficiency of your distribution centers, surveil your products and protect your business from liability contact your security camera distributor today. In the end, a poorly organized distribution center in any of these major cities will struggle to excel in quality work. We’ve touched on just a few of the most common and important benefits of having a security camera system in your shipping and receiving area, but the truth is the greatest benefit to your company is the one that best helps you meet your needs. That’s where our free site visit and consultation comes in handy. We work with you and your safety and security team to develop the solution that best meets the demands of your company while working with your budget. Our expert technicians will install all of your equipment and can answer any questions your IT department may have. Using the most current video compression standards, we can also provide long-term storage for all of your shipping and receiving department security footage for reference, training, and compliance purposes. Get a quote for all of your department’s security camera needs.